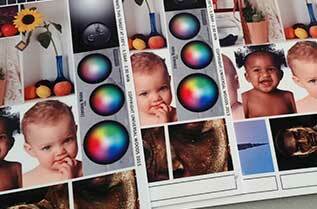 Printing on highly durable ChromaLuxe photo panels by dye sublimation. This guarantees the highest quality print quality with a very long service life. Perfect for exhibitions of works of art. Thanks to sublimation, your work of art will remain beautifully coloured for years. Because the inks are locked in the coating, it is discoloured at least over the years. 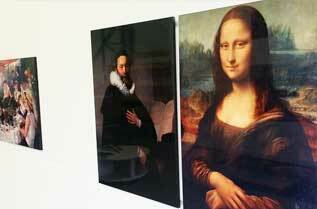 This makes sublimation an ideal way to sublimate works of art. 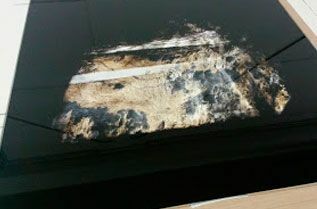 A brilliant result is achieved by using the best coating. Printouts are rendered in crisp and very colourful shades on the ChromaLuxe coating. For art-works, it is important that the colours match perfectly. Especially when it comes to increased circulation. It is therefore possible with us to apply for a sample printout in small format. If desired, we can make a cut-out in a smaller size. Are you curious about our products? We would like to invite you to visit us once and see our products! 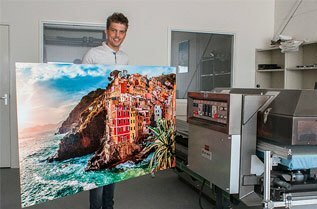 Hundreds of artists and top photographers have discovered which makes ChromaLuxe ideal for subliming art prints and professional top-quality photos. 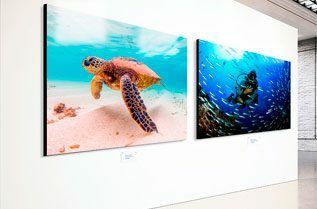 Perfect for sales, a gallery or an exhibition. By using sublimation and the high quality panels of ChromaLuxe a very high quality is achieved. 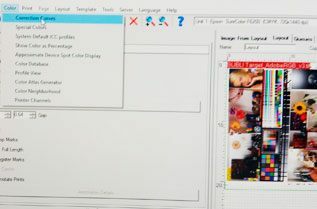 We use calibration software and make sure that the colours match the artwork you have supplied. 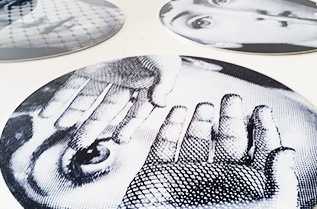 Having a work of art printed by sublimation has a very long life span. The coating on the aluminium ensures that UV light hardly has any influence. Research shows that it lasts for more than 100 years. 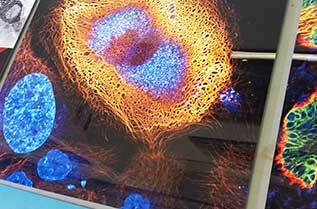 In contrast to exposy resin, which turns yellow quickly thanks to UV light.